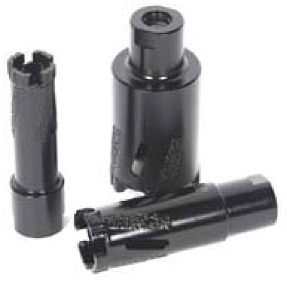 The Magnum GB Dry Core Bits are turbo segmented for fast cutting and long life. Ideal for drilling granite or engineered stone. Magnum Supreme Twin Cup Wheel RamboTM PT Dry Core Bits 1-1/4" up to 2" Hurricane Cup Wheels Fast FuryTM Dry Core Bits 1-1/4" up to 1-1/2"